Tina Carrabba attended Billerica Memorial High School from 1992-1996. Tina was a four year varsity soccer and tennis player for the high school. She played club hockey for the select team Chelmsford Lions from 1990-1996 where she was exposed to multiple college hockey programs and earned 3 National Championships. Tina was recruited to play hockey at University of New Hampshire in 1996. Tina played from 1996-2000. While at UNH the team won the ECAC Championships twice and a National Championship in 1998. While at UNH she coached for Dover youth hockey pee wee boys program as well as a member of the DARE program for youth hockey players. After graduating Tina became the first girls high school hockey coach at Billerica High School and is still coaching. Tina coached for the u12,u14,u19 girls programs and ran the mite development and mite minor team in Hudson nh for 3 years then progressed to being the mite and squirt coordinator for the New England Bulldogs. Recently Tina has earned Coach of the Year for the Merrimack Valley Conference for the second time and was inducted Into the Hall of Fame at University of New Hampshire with the National Championship team. 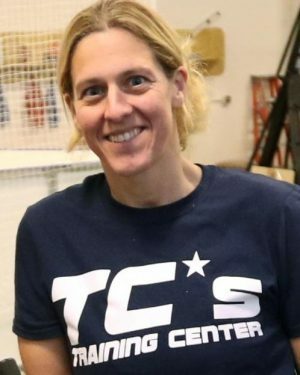 A demanding and motivational leader with a passion for coaching and engaging with youth, Nikki Petrich joined TC’s Training Center as a Hockey Instructor, giving team, group and private lessons. Petrich has an extensive and impressive history in the sport, both as a player and as a coach, and strives for greatness while expecting dedication and hard work from her players. She is currently Head Coach for the U14 Girls Islander’s Hockey Team, where she’s been strengthening the team since joining for the 2013-2015 seasons and again from 2016-present day. She was Head Coach for the U16 Girls Islander’s Hockey Team for the 2015 – 2017 seasons. Under her guidance for the 2012-2013 season, the U12 Girls Is-lander’s Hockey Team became the State Champion Team in March 2013, shortly after leading the U12 Girls Islander’s Hockey Team throughout the 2011-2012 season to be-come the League Champion Team in March 2012. Petrich was named Coach of the Year, USA Hockey, ACHA Division I Women’s Ice Hockey in 2010 and served as Northeast-ern’s ACHA Division 1 Women’s Ice Hockey Co-Head Coach from September 2009 – April 2010. She continues to promote and develop the sport within the community, hav-ing worked with the Boston Bruins Youth Hockey Development Team since September 2009. Petrich attended Northeastern University with a full athletic scholarship, excelling in the Forward position from May 2004 until May 2009, where she won Rookie of the Year in April 2005 and the prestigious Reggie Lewis Athletic Award in April 2007. She was named MVP for Women’s Ice Hockey in 2004 and Women’s Ice Hockey Captain from May 2007- May 2009. In addition to her incredibly successful collegiate career, Petrich was part of the All Rookie Team – Hockey East in December 2004 and the Hockey East All Star Team that played Team USA in December 2005. 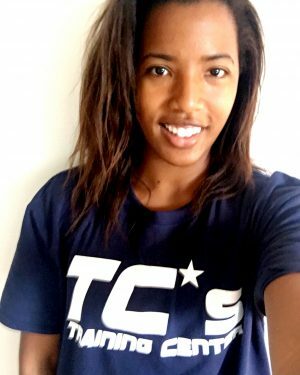 She was also a nominee for the Black Ice Hockey Hall of Fame in Canada (April 2007) and attended the U22 USA Women’s Ice Hockey Team Training Camp (April 2007). Petrich attended Shattuck St. Mary’s High School on an Athletic/Academic Scholarship from September 1998 through May 2004. 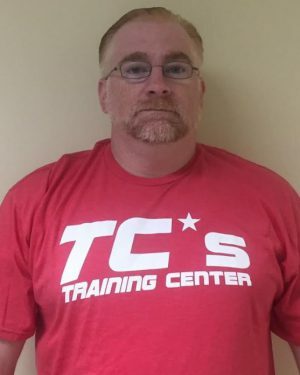 Eric Brown comes to TC’s Training Center with a wealth of high-level playing and coaching experience. A graduate of UMass-Lowell, Brown was a four-year scholarship player for the nationally-ranked program. He went on to enjoy a two-year professional playing career before taking over as the director of a national hockey school for 14 years. From 2009 through 2012, he served as head varsity hockey coach for Wayland High School, leading the team to the north sectional championship in 2012. 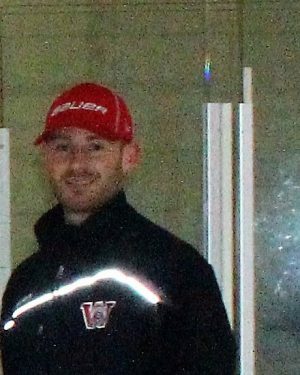 From 2012 – 2016 Brown was the Junior A Tier 3 head coach in the Mariners and Valley Junior Warriors organizations. For the past two years Brown has focused his attention on the individual skills development of players across Massachusetts. Chris is a 2004 graduate of Everett High School where he captained the hockey and golf teams his senior year and also earned varsity letters in baseball and track. He played NCAA Division 3 hockey at the University of Southern Maine and Framingham State College, graduating in 2008. While at Framingham State College he was a member of the ECAC East All Academic Team. Upon graduation he began coaching and teaching in the Everett Public schools. He has coached High School hockey for over 11 years at Everett High School, Lexington High School and most recently Wakefield High School where he was the Boys Varsity Head Coach. He has coached in the Bay State Games, FMC Coaches League as well as High School level Baseball, Golf and Track and Field. He also works for Pride Hockey Skills and Driscoll Skating and Skills. Chris holds a Masters Degree in Health Education from Cambridge College. He is currently the Health and Life Skills Department Coordinator as well as Health and Physical Education teacher at Wakefield Memorial High School. He is a licensed Massachusetts Real Estate Agent working for Classified Realty in North Reading, MA. Chris resides in North Reading, MA with his wife Danielle and young children, Julianna, Anthony and dog Gino.